.05 BAC WORKS IN OTHER COUNTRIES, WHY NOT HERE IN AMERICA? 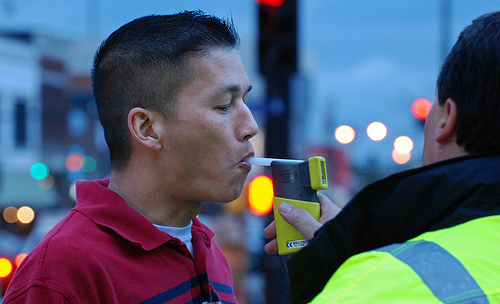 Recently, the National Traffic Safety Board (NTSB) recommended that the federal Blood Alcohol Level (BAC) threshold be lowered from .08 to .05. This announcement prompted quite a debate about reducing the high number of DWI fatalities and the affect such a change might have on small businesses. The report published by the NTSB claims the change could save between 500 and 800 lives every year. The study also reported that drivers showed impairment at levels as low as .02 percent. First, let’s examine how the .05 BAC is working in other Western Countries, such as most of Europe and Australia. More than 100 countries have dropped their legal BAC limit to .05 percent with significant changes according to the NTSB. In Australia, the change led to provinces reporting a 5-18 percent drop in traffic fatalities. At .05 BAC, the risk of having an accident increases by 39 percent. At .08, the risk increases by more than 100 percent according to the Highway Safety ResearchCenter. They also report that at the current legal limit, an alcohol-related motor vehicle crash kills someone every 31 minutes and injures someone every two minutes. “There is clear, solid, scientific evidence that lowering the illegal BAC limit to .05 is a strategy that states should strongly consider” said James Fell, a PIRE (Pacific Institute for Research and Evaluation) researcher. He points to laboratory evidence showing that most subjects are significantly impaired at .05 BAC (Ferrara, Zancaner, & Georgetti, 1994;Moskowitz & Fiorentino, 2000; Moskowitz, Burns, Fiorentino, Smiley, & Zador, 2000). Drivers with .05 to .07 BACs are also much more likely to be involved in a fatal crash than drivers who haven’t been drinking (Voas, et al., 2012). The review was co-authored with Robert Voas, Ph.D., a PIRE senior research scientist. The opposition to .05 is powerful, politically connected and well-organized. The alcohol industry spends billions on advertising in print and broadcasting. Alcohol companies spend close to $2 billion every year advertising in the United States alone. From 2001 to 2007, they aired more than 2 million television ads and published more than 20,000 magazine advertisements. The data on this advertising of alcohol comes from researchers with the Center on Alcohol Marketing and Youth at Georgetown University (CAMY) and Virtual Media Resources (VMR) of Natick, Massachusetts, who analyzed the placements of 2,033,931 alcohol product advertisements that aired on television between 2001 and 2007, and 19,466 alcohol advertisements placed in national magazines between 2001 and 2006. Certainly lowering the threshold from .08 to .05 would cut into their bottom line. Such a reduction would affect thousands of bars and their employees. America has had a long tradition of promoting drinking on every occasion, even if there’s a symbolic tag of “drink responsibly”. The argument that retaining jobs and commerce should take precedence over reducing DWIs is appealing at a time when the economy is still lagging and losing jobs is a key concern to the public. No other country is influenced by the alcohol industry like America. While the problem of drunk driving is much more ubiquitous here, the culture is so ingrained with drinking any change in the BAC level will take a concerted effort, by groups like MADD and RID to shift public opinion. Right now the playing field heavily favors the alcohol industry. They have a ton of money and will spend it to protect their own interests. They have the ear of Congress and well-funded lobbyists to fight for their agenda. The perception that the problem of DWI fatalities is due to the chronic alcoholic who blows a .25, has had their license suspended numerous times and that lowering the BAC to .05 will have little effect on reducing DWI fatalities is a red herring. When you consider the difference between a person’s peripheral vision at .05 and .08, the driver is 100% more likely to be involved in an accident according to NHTSA (National Highway Traffic Safety Administration). So lowering the BAC to .05 will definitely save lives. However, the 800 pound gorilla in the room is the alcohol industry. They will vigorously fight against lowering the legal threshold to .05. Their influence and revenue they provide to the media that covers this story can’t be ignored. Neither should the effort to make .05 the law.